I look for students who are self-motivated, independent, creative, and naturally curious. Although not wedded to any system, I encourage students to consider work in aquatic communities and to explore questions at the interface between ecology and evolution, an area where I am best able to provide assistance. I look for students with an insightful, creative, novel research idea, proven research aptitude (e.g., published papers), high GPA (> 3.5), and excellent GRE scores (85th percentiles or better). A Masters is preferred. UConn combines the advantages of a large university (lots of resources, diverse students, and cultural opportunities) with the advantages of a friendly small town. UConn is located in The Quiet Corner of New England, the last remaining Green area along the coastal corridor between Washington, D.C. and Boston. I consider northeastern Connecticut to be a remnant of true New England, meaning a place that still has small towns with greens, large tracts of deciduous forest, family farms, and friendly people. 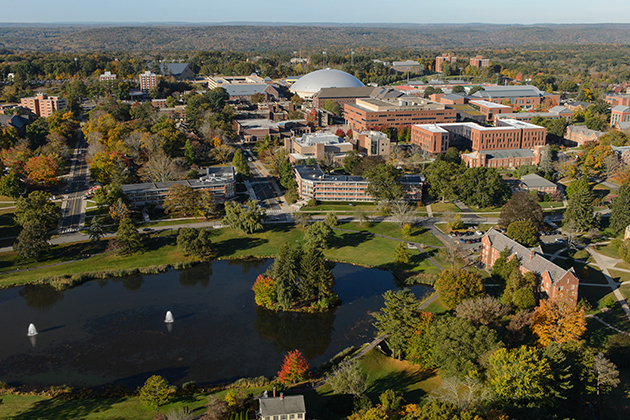 Storrs and the surrounding area has many opportunities for outdoor recreational activities: the area abounds with hiking, skiing, and mountain biking trails. More vertical hiking, camping, skiing, and climbing can be found in the nearby Green and White Mountains. Despite the rural character of the area, Boston, Providence, and New York City are within easy reach.